Introduces the three Himalayan kingdoms of Bhutan, Nepal and Tibet in one single trip! Spectacular flight brings us to the tiny Himalayan Kingdom of Bhutan where we will feel time has moved back. Explore the pastoral back roads of Bhutan, a true bastion of tradition in an uncertain world, where we find an independent people who have not rejected their ancient spiritual heritage for modern ways. We’ll visit the Shangri-La setting of the Paro Valley, the central Bhutanese town of Punakha, with its huge, spectacular monastery set by the river, and the capital city of Thimphu. Fly to Nepal’s capital city of Kathmandu, an unforgettable melting pot of Hindu and Buddhist cultures. In the local markets and bazaars, we’ll rub shoulders with some of Nepal’s very diverse people; explore its wealth of Hindu and Buddhist sites, as well as charming valley towns like Bhaktapur, with its well-preserved 17th-Century architecture. A breathtaking flight over the Himalayas whisks us to the incomparable Tibet. In Lhasa, Tibet’s long-forbidden capital city at 12,000 feet, we’ll tour the major monuments, including the legendary gold-roofed, thousand-room Potala Palace. We’ll walk pilgrim trails, hike up to ancient ridge-top monasteries, meet a colorful array of people, from nomads to lamas, and relish in some of the most majestic mountain scenery on earth! Come take a step back in time and join us on this enriching, non-trekking journey for an eye-opening look into traditions and cultures far removed from those in the West! Experience the Hindu and Buddhist cultures in Kathmandu, Nepal. Breathtaking flight over the Himalayas. Take your flight to Bangkok and stay overnight in Bangkok. It’s a spectacular flight offering views of snow capped mountains of the Eastern Himalayas. Upon arrival at Paro airport, we are met by representative and transferred to Thimphu, the capital city of Bhutan. We attend the festival today. In the morning we attend the Tsechhu festival and after explore the wonders of Thimphu that includes King’s Memeorial Chorten, Takin Zoo, Bhutanese Textile Musuem, School of Arts and Crafts, Heritage Museum, traditional appear factory, Tasicho Dzong, etc. After breakfast proceed to Punakha across Dochula pass. The pass offers the most spectacular view over the greater eastern Himalayas including highest peak of Bhutan. Enroute make short excursion about an hour to the temple of divine madman, also well known as the temple of fertility. It is fascinating to walk through village and the rice fields. Arrive Punakha, the capital city of Bhutan till 1955 and still the Je Khenpo, the Chief of Abbot resides there during the winter season. After lunch visit Punakha Dzong built by Shabdrung Ngawang Namgyel in 1638 and situated at the junction of Pho Chu and Mo Chu Rivers. Morning short excursion to Khamsum Yuelley Namgyel Chorten. This chorine is dedicated to our present crown prince and for the world peace. Hike will take you around 45 minutes each way. Proceed to Thimphu for lunch. Before entering to Thimphu, you can visit the farmers weekend market, where local villages around Thimphu sell their agro products. Later visit nunnery temple, Sangaygang view point and takin. Free walk in Thimphu city, the best place to buy souvenir form Bhutan and evening drive to Paro. Morning excursion to Taktsang Monastery which takes about 15 minutes drive to the starting point. The hike to Taktsang takes about an hour uphill till the viewpoint and another hour to monastery. Guru Rinpoche visited and meditated in 8th century at this particular site. The Desi Tenzin Rabgye later built the temple in the 17th century. Lunch at cafeteria. In the evening visit Ta Dzong (national museum), the best place to familiarize about Bhutanese religion, customs and traditional arts and crafts. We fly over the sea of snow capped mountains to Kathmandu, the capital city of Nepal. We will be able to see Mount Everest, the highest mountain on earth. Embark on tour of the day that begins in Pashupatinath Temple, the holiest Hindu Temple on the bank of holy bagmati River, one of the principal tributaries of Ganges. Admission to temple courtyard is reserved for Hindus only but you would have a very good close up form the other side of the river. The temple is vibrant with the activities of the devotees. You will also get to see the Hindu Cremation Services on the bank of the River. From here, the giant Boudhanath stupa lies in 10 minutes distance. This has the fame as the largest Stupa in the world and one of the ‘must visit’ sites for Tibetan Buddhists in their life time and the area is inhabited by Tibetan refugees. Pilgrims circumambulate the stupa with spinning prayer wheels or counting beads and uttering sacred mantra Om Mani Padme Hum. Surrounded around the stupa are monasteries associated with different schools of Tibetan Buddhism. Have a break here for half an hour if you are thirsty or feel like some snacking! In the afternoon, you will drive 14 km north-east to Bhaktapur, the best preserved medieval Malla Principality where you can see the intricate wood and stone works in the temples, monasteries and houses of Bhaktapur. The sightseeing tour concludes in the late afternoon and drive to Nagarkot. It is time for your magical journey to come to an end. After breakfast this morning you will be transferred to the airport for your international flight back home. After breakfast in the hotel drive to Kathmandu. Sightseeing of Patal the city of art and craft en-route. After noon drive into the heart of the city and visit the Durbar Square of Kathmandu where the former palaces of Kathmandu lie. There are a culture of ancient and medieval temples and shrines. The most dominant are the Kumari Temple, the temple of the Living Goddess of Nepal, Legendary Kasthamandap Temple and Hippy Temple! The temples palaces and shrines are rich in arts and architectures. From here, you will continue to Swayambhunath Stupa, that lies near your hotel. The 2000 year old stupa is situated in 80 above the average level of Kathmandu and is spectacular view point. tEH stupa was also nick-named as Monkey Temple by the Hippies in the 70s. Guide will pick you up at the hotel and transfer to airport for flight to Lhasa. On your arrival at Lhasa airport, you will be met by your local guide and transferred to your hotel in Lhasa city. On the way, we stop to visit Drolma Lakhang temple and the blue rock engraving of Medicine Buddha at the base of the cliff. Visit the World Heritage formidable site of Potala Palace in the morning. In the afternoon, visit Sera Monastery. Towards the late afternoon, visit the 7th century Jokhang Temple, Tibet’s hoist site. In the evening, take a walk in a close-wise circuit or Kora around the temple grounds, along with the stream of humanity. Stroll through Barkhor market square. Tonight, enjoy dinner at a local restaurant with Tibetan dance and music in local tourist restaurant. In the morning, visit Drepung Monastery, once the largest monastery of Tibet. Later visit Mentsekhang (traditional Hospital). In the afternoon visit Norbulingkha Palace. The rest of the afternoon is free for rest or stroll around. Embark on the ride of a lifetime along the Lhasa-Kathmandu Southern Highway that runs parallel to the Himalayas. After half an hour from the city, you will drive across the Yarlungdzangbo River and the road gradually climbs to Kamba La form where you will have the first view of brilliant turquoise blue Yamdrok Tso Lake that lies several feet below the road. This is one of the four hoist lakes of Tibet and the home of wrathful deities. Along with the lake, the view in the distance of Mt. Nojin Kangtsang can be seen. We visit the lake and return to Lhasa by late afternoon. Flight to Beijing/Chengdu/Kathmandu and connect for departure flight to final destination. Accommodations in listed or simliar on twin sharing basis. All transfers and sightseeing by private vehicles. Tibet permits & visas, Bhutan visa, and Nepal visa. 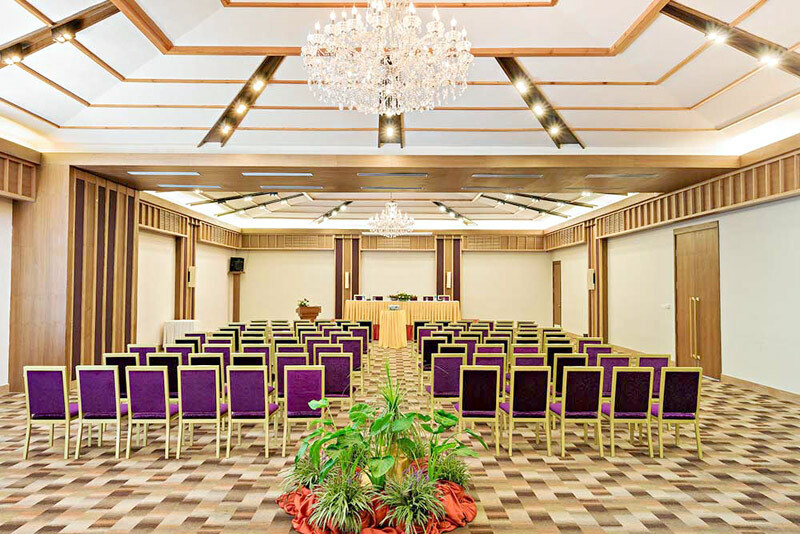 Hotel Shanker is located a mere 2 minutes from the Narayanhiti Royal Palace Museum in Durbar Marg and 5 minutes from the restaurants and shopping areas of Durbar Marg and Thamel. 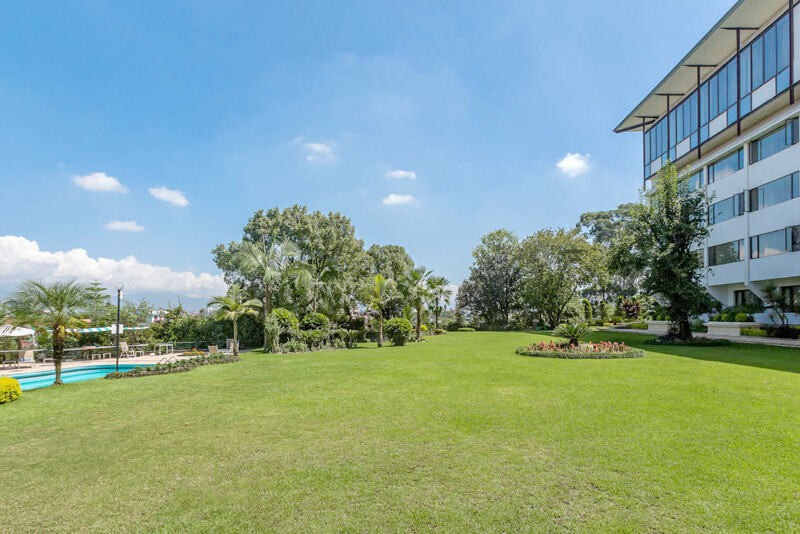 Most of the hotels 4.4 acre property is beautifully landscaped. An oasis in the midst of a frenzied hustle and bustle of a modern metropolis. Hotel Shanker, Kathmandu is a heritage hotel, housed in a 19thcentury palace in the heart of Kathmandu, Nepal. It was the royal residence of the rulers of Nepal from 1894 until 1964, when it was converted into a luxury hotel. The facade was kept intact but the interiors were redesigned to give travelers the kind of comfort they’d expect of a world class hotel. The hotel is characterized by exquisite and authentic objects d’art. For example, the carved windows displayed in the lobby bar are over 200 years old. Perched at an altitude of 2000m, 19 miles from Kathmandu, The Fort is just 55 minutes away from the International Airport. The mountain drive itself is through arresting views of rural villages, terraced rice-fields and mountain forests. With its Pro-Environment and Pro-Life orientation, The Fort has imbibed the values of holistic living over the years: a fact that has earned it a well-deserved reputation as the ‘effortless zone’ : A mountain-retreat center, where one can help himself to access deeper level of rejuvenation. A space where one could “let go” of the addiction of pulling and pushing. A gut feeling of physical ease which then gets reflected in mind and emotions, a quality of life. Built in the traditional Nepali architectural style, the main building and the cottages of The Fort incorporate 40 well appointed rooms. 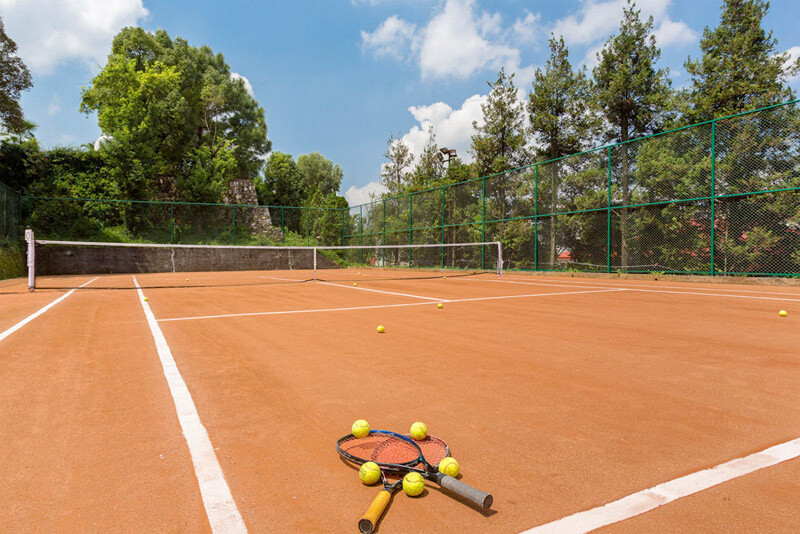 All of them in spectacular hilltop setting nestled amidst the pine trees and greenery. Each guaranteeing amazing views giving one a sense of unlimited space. And inside, will continue to delight the eyes. Designed for Environment (DFE) and Pleasure of Living, everything in The Fort bears the mark of Strong Environmental Stewardship. Permeated by lush flora, the simplicity of red brick, carved dark strong Sal wood, terraced garden, spacious courtyard and the lobby, cozy restaurant and bar and the backdrop of the mighty Himalayas, all these diverse elements combine at The Fort to form an exuberant, joyously beautiful whole. Located at Khangkhu village amidst fascinating surrounding and about 2 km from Paro international airport, Hotel Drukchen is charming establishment, built in classical Bhutanese design and equipped with modern comfort. With focus on personalized services and high level of guests’ satisfaction, hotel ensures comfortable and memorable stay for all its guests. 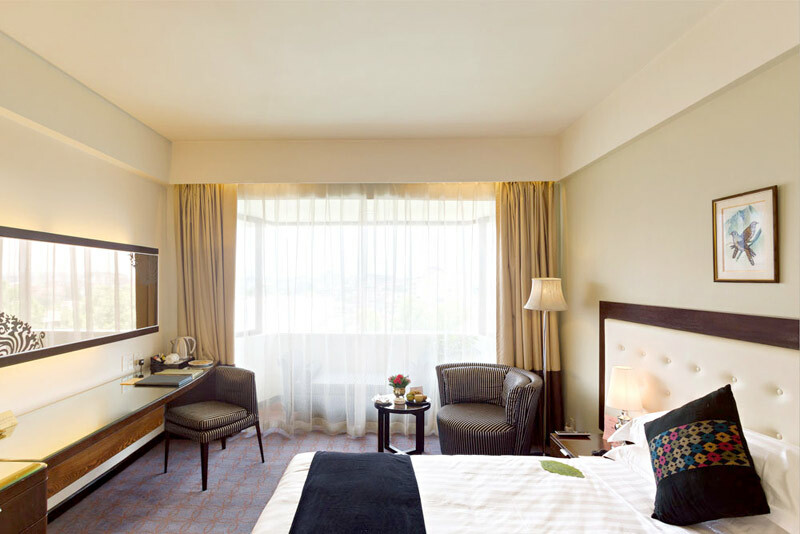 It features 23 well appointed rooms, comprising of 19 deluxe rooms and 04 suites. 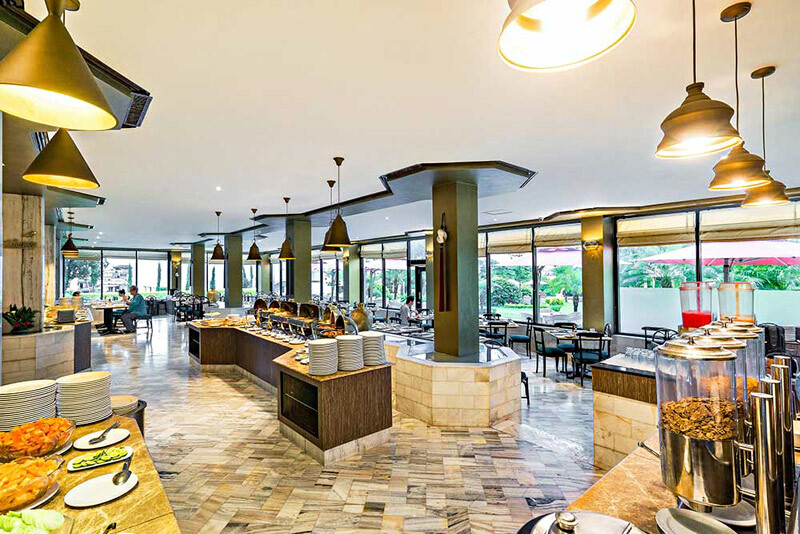 Tastefully decorated restaurant, provides Bhutanese, Indian, Continental and Chinese cuisines and bar offers range of international and local beverages. 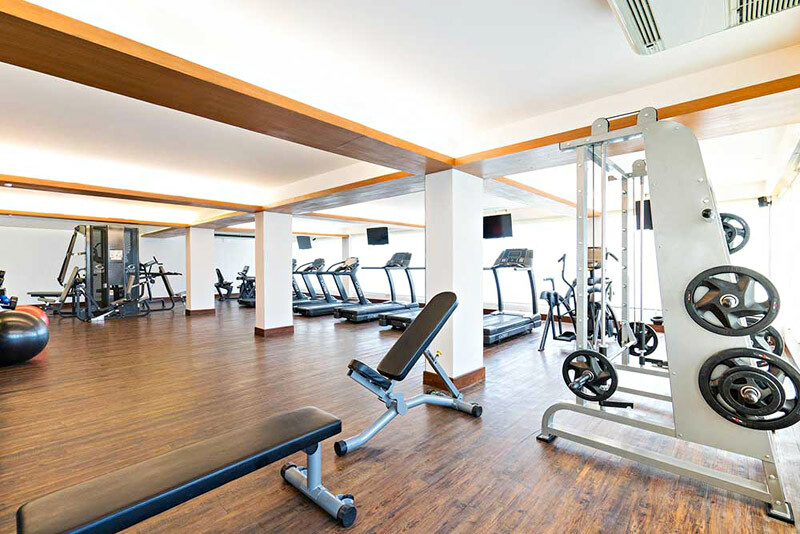 The other facilities available at hotel are : business centre, conference facilities, foreign currency exchange, laundry service, luggage storage, safe deposit at reception, spa and fitness. The room amenities include : attached bath with running hot & cold water, balcony, cable TV, choice of double and twin beds, electronic personal safe, hair dryer, mini fridge, mini bar, phone, room heating, tea / coffee maker, Wi Fi. The approach to service at Khang Residency lies in the seamless co-mingling of traditional Bhutanese hospitality with modern-day comforts that make up the hallmark of any top notch hotel around the world. In Bhutan, the policy is not just about facilitating the inflow of more and more guests, but also ensuring the highest level of service. 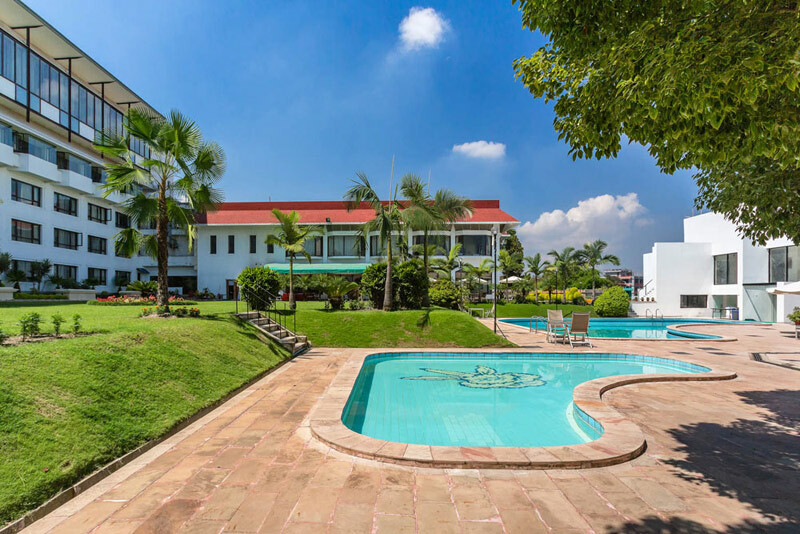 From its very inception Khang Residency has given priority to this aspect of service and lives up to the standards that the business demands from the finest hotels in the kingdom. Service and other amenities are intended not only to meet the very best of expectations but to surpass it at any given opportunity. The Brahmaputra Grand Hotel is a luxury five star hotel, with the combination of traditional Tibetan architectural style and modern decorative technologies. The hotel is located at Section B, Yangcheng Plaza, Gongbutang Road, Lhasa, Tibet, China, standing at north-eastern bank of Lhasa River. It only takes 5 minutes to the down town and 40 minutes to Lhasa Gongga Airport. 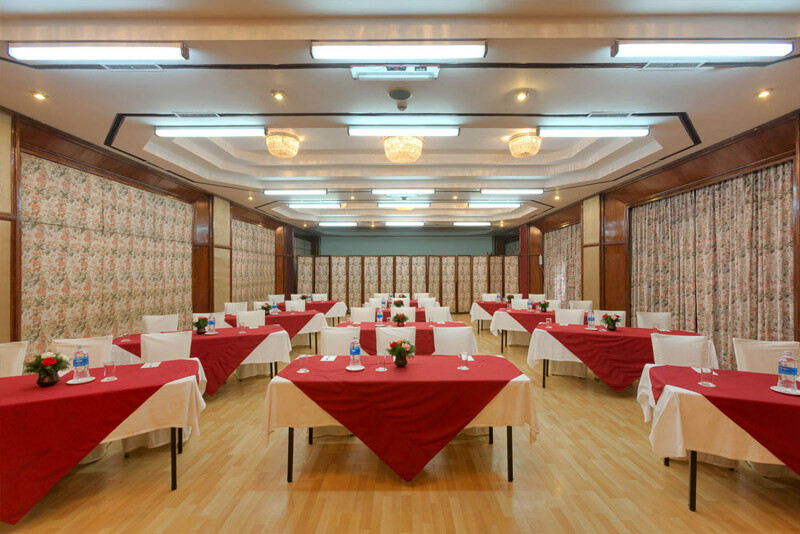 With this prime location, our guests will have very easy access to every travel spots of Lhasa city. 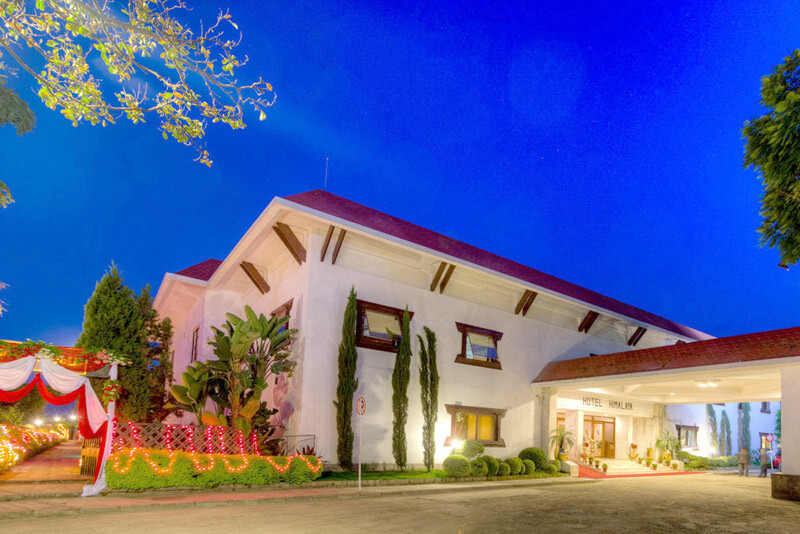 Our hotel also provides well-equipped 185 rooms with different styles, and every room has free Internet access. Brahmaputra Grand Hotel is the unique museum for accommodation in the world, owing to its deep cultural foundation, elegant tastes, human-based as well as ethnic management, high efficiency with heart-warming service. Our hotel is the right place for tourists home and abroad. The hotel possesses 186 fascinating and luxurious deluxe suites and 37 Tibetan deluxe single rooms with independently controlled central air conditioner, intelligent system, electronic induction lock, visual door bell, furniture and decorations with national features. Every guest room is fit with IDD & DDD & one-button dialing system, broadband network, personal coffer, wire satellite TV, and executive floor with an independent discussion area set. Welcome to Dhulikhel Lodge Resort, located in one of the most enchanting regions of Nepal. The setting of our resort is one of the most exceptional in Nepal: lush and intricately terraced hills surround Dhulikhel valley, and stretch infinitely to reach the Himalayas, stark, dazzling and white against blue skies. The resort itself has been designed to reflect its traditional cultural setting and to emanate the warmth and hospitality of local culture, which envelope any guests at home. We offer you this hospitality. Fish Tail Lodge is a relaxation oasis, yet it also has it’s fair share of activities and excitement. If your idea of fun is a vacation filled with jam packed activities then Fish Tail lodge will not disappoint. If peace and quiet is what you seek then you will be delighted to know that Fish Tail Lodge has an assortment of quiet nooks and crannies where you can truly escape from the world. You will truly feel like a castaway as your rejuvenate your mind, body, and soul. At this lodge you can immerse yourself in the bliss of doing absolutely nothing at all. Fish Tail Lodge offers 60 comfortable guest rooms that are tastefully decorated, and come with an array of modern amenities to make your stay a pleasant one.